This article has been written in order to explain what is the VV 0 variant of the CryptoLocker ransomware family and how to remove this ransomware infection from your computer completely. The .ecc files virus is the type of ransomware infection, known as the crypto virus kind, meaning that the malware attacks your files and makes them seem corrupt until you pay ransom to get them back. The .ecc files virus, also known as VV 0 according to it’s ransom note file is actually a variant of the well-known CryptoLocker ransomware virus, which was the first big ransomware to hit the world with hundreds of thousands of infections worldwide in 2013. Back then, the malware used a much less sophisticated encryption and a Trojan horse to infect over 250,000 computers. If you have been infected by the .ecc variant of the VV 0 ransomware, we advise that you read this article to learn how to remove this malware and how to try and restore RSA encrypted files with the .ecc file extension. 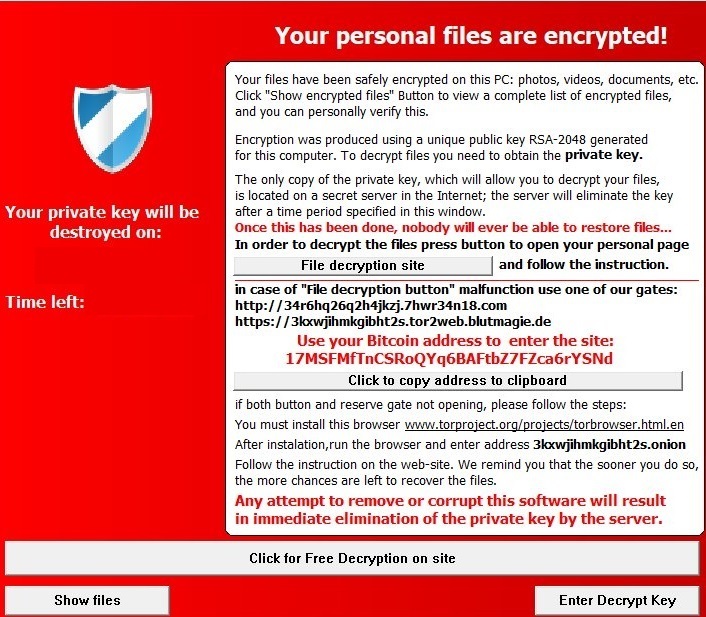 Short Description Aims to encrypt the files on the infected computer after which leave behind the files non-openable until the victim pays ransom. Symptoms The encrypted files have the .ecc file extension added to them. User Experience Join Our Forum to Discuss .ecc File Ransomware. Fake installers of game or software. The .ecc files virus is a part of the CryptoLocker ransomware family which is the first major ransomware to hit the web. The virus aims to encrypt the files and ask for payment to make them usable again. and you can personally verify this. for this computer. To decrypt files you need to obtain the private key. Your private key will be after a time period specified in this window. File decryption site l and follow the instruction. the more chances are left to recover the files. Any attempt to remove or corrupt this software will result in immediate elimination of the private key by the server. In addition to this, the note also deploys what seems to be a deadline timer, which threatens victims that all hope for decrypting the files will be lost after 100 hours or so. But do not rely on that and do not pay the ransom because they may have already deleted the decryption key or may have permanently damaged your files indefinitely, and should not be trusted, since paying the fee is not a guarantee the decryption works. Other often used types of files. 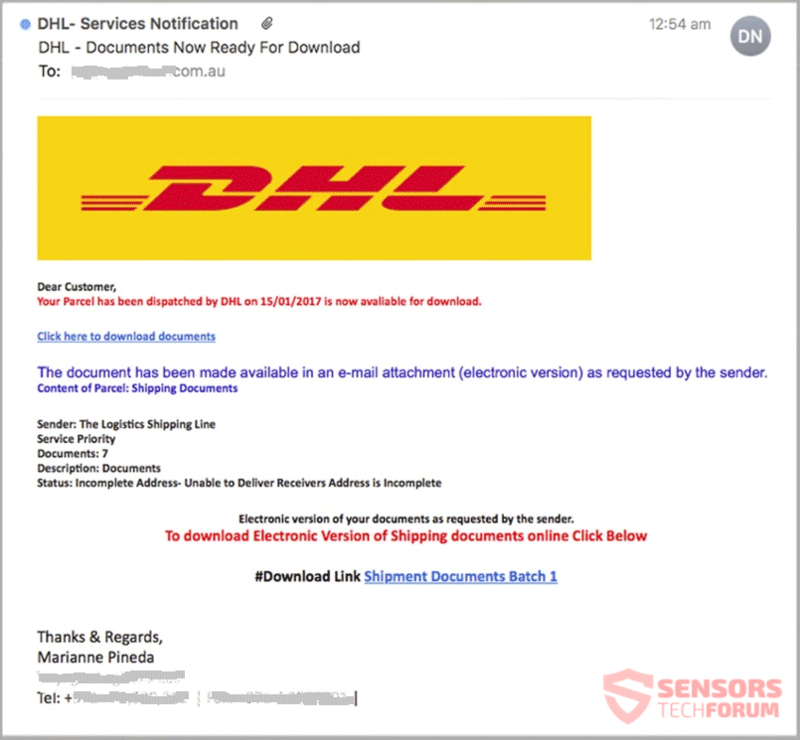 In order to remove this ransomware virus from your computer, we advise that you follow the removal instructions underneath this article. They have been created to help you delete this ransomware either manually or automatically from your computer. In addition to this, the ransomware may also remain on your computer after manual removal since it does leave behind multiple objects which you might miss if you remove it manually. This is why be advised that security experts strongly recommend to remove the .ecc ransomware automatically from your computer automatically with the aid of advanced anti-malware software. It aims to scan for and remove all of the malware from your computer and make sure that future protection is also ensured in real-time against malware and intrusive software. If you want to restore files that have been encrypted by this program on your PC, we recommend that you try out the alternative tools for file recovery we have suggested in step “2. Restore files, encrypted by .ecc File Ransomware”. They may not be 100% guaranteed to help you restore all of your files, but may help to restore as many encrypted files as possible. Threats such as .ecc File Ransomware may be persistent. They tend to re-appear if not fully deleted. A malware removal tool like Combo Cleaner will help you to remove malicious programs, saving you the time and the struggle of tracking down numerous malicious files. Threats such as .ecc File Ransomware may be persistent on your system. They tend to re-appear if not fully deleted. A malware removal tool like SpyHunter will help you to remove malicious programs, saving you the time and the struggle of tracking down numerous malicious files. Note! Your computer system may be affected by .ecc File Ransomware and other threats. SpyHunter is a powerful malware removal tool designed to help users with in-depth system security analysis, detection and removal of threats such as .ecc File Ransomware. 1. Install SpyHunter to scan for .ecc File Ransomware and remove them. 2. Scan with SpyHunter, Detect and Remove .ecc File Ransomware. Ransomware infections and .ecc File Ransomware aim to encrypt your files using an encryption algorithm which may be very difficult to decrypt. This is why we have suggested several alternative methods that may help you go around direct decryption and try to restore your files. Bear in mind that these methods may not be 100% effective but may also help you a little or a lot in different situations. Note! Your computer system may be affected by .ecc File Ransomware or other threats. Remove .ecc File Ransomware by cleaning your Browser and Registry. Fix registry entries created by .ecc File Ransomware on your PC. Combo Cleaner is a powerful malware removal tool designed to help users with in-depth system security analysis, detection and removal of threats such as .ecc File Ransomware. Step 5: In the Applications menu, look for any suspicious app or an app with a name, similar or identical to .ecc File Ransomware. If you find it, right-click on the app and select “Move to Trash”. Step 6: Select Accounts, after which click on the Login Items preference. Your Mac will then show you a list of items that start automatically when you log in. Look for any suspicious apps identical or similar to .ecc File Ransomware. Check the app you want to stop from running automatically and then select on the Minus (“–“) icon to hide it. Remove .ecc File Ransomware – related extensions from your Mac’s browsers. A pop-up window will appear asking for confirmation to uninstall the extension. Select ‘Uninstall’ again, and the .ecc File Ransomware will be removed. When you are facing problems on your Mac as a result of unwanted scripts and programs such as .ecc File Ransomware, the recommended way of eliminating the threat is by using an anti-malware program. Combo Cleaner offers advanced security features along with other modules that will improve your Mac’s security and protect it in the future. Hey !, I found this information for you: ".ecc Files Virus (VV 0 Ransomware) – How to Remove + Restore Data". Here is the website link: https://sensorstechforum.com/ecc-files-virus-vv-0-ransomware-remove-restore-data/. Thank you.